The top menu is always located at the top-left corner of the interface. On Windows, it is part of the user interface and on Mac OS X, it is located at the very top of the screen. In the top menu, you find most of the commands that are used throughout your project. The Quick Access menu is a contextual menu containing only the commands relative to the view and area in which you are working. Instead of going all the way to the top menu, just right-click in the view in which you are working to display it. Instead of selecting a command in a menu, you can click on the buttons in the toolbars. Toolbars are found at the top and left side of the interface, and also within certain views, such as the Timeline view. It may be more visual and easier to find a feature if you browse through the different toolbars. 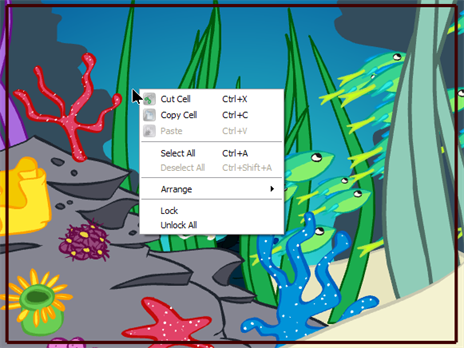 To customize the top toolbar for Mac OS X, refer to Customizing Toolbars on Mac OS X.
Toon Boom Studio's interface is composed of several different views used to perform different actions. The main views you use for your project are the Camera and Timeline views. Each view specializes in one or two aspects of the production. For example, the Camera view is used for motion path animation and scene setup. 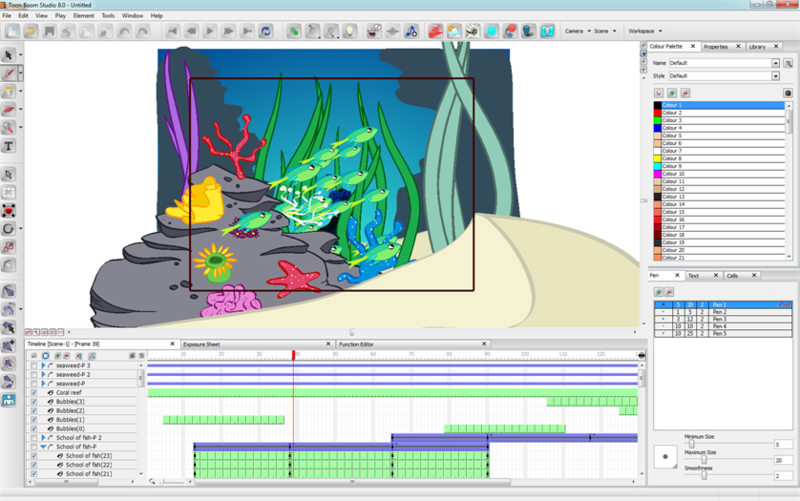 The Drawing view is used for drawing and the Timeline view for setting timing and creating simple effects.